Liana Presti is a Recruiter at JSG’s Charleston, SC office. She’s been with JSG for six months now and specializes in direct hire placements. We had the opportunity to sit down with her and get to know here a little better. Here’s what she had to say. I’m originally from the Tampa, Florida area and moved to Tennessee for college, where I attended East Tennessee State University. I graduated in 2016 and received a bachelor’s degree in Psychology. After I graduated, I started working for the Pasco County Sheriff office and was working as a Child Protective Specialist. After a little over a year, I relocated to Charleston. Miranda Jones reached out to me on LinkedIn about joining the Charleston team as a recruiter. I was on the fence about the position, but after talking to one of my close friends back home who transitioned from child services to recruiting, I decided to accept the position. I have now been a recruiter for direct hire roles for about six months. This is your first recruiting role. How are you enjoying it so far? What are the biggest challenges of a young recruiter in this tight labor market? I really enjoy my co-workers at JSG. We have a great team in Charleston and we’re really close with each other. I enjoy talking to different people every day and meeting some really interesting people. Probably the most difficult part about recruiting is the tight market we’re experiencing. At times, it can be difficult to find qualified candidates, and the candidates we do find are sometimes entertaining multiple job opportunities and have several interviews lined up. Employers must move quickly to ensure they are not missing out on great candidates! How has your role as a Child Protective Specialist helped with your transition into the Staffing industry? Honing my communication skills as a Child Protective Specialist has definitely helped me with my new role as a recruiter. I had to interview people frequently which has helped me develop a good judge of character and be able to see if a candidate is a good fit for a role or not. However, my job at JSG is definitely less emotional than working for the Sheriffs Office. There can be a lot of high and lows in the staffing world, but my role in child protective services has helped me brush off the lows and move onto the next role. What type of roles do you specialize in? Overall, my favorite roles to recruit on are engineering positions, specifically continuous improvement and management roles. These candidates are really interesting and super fascinating to talk to. 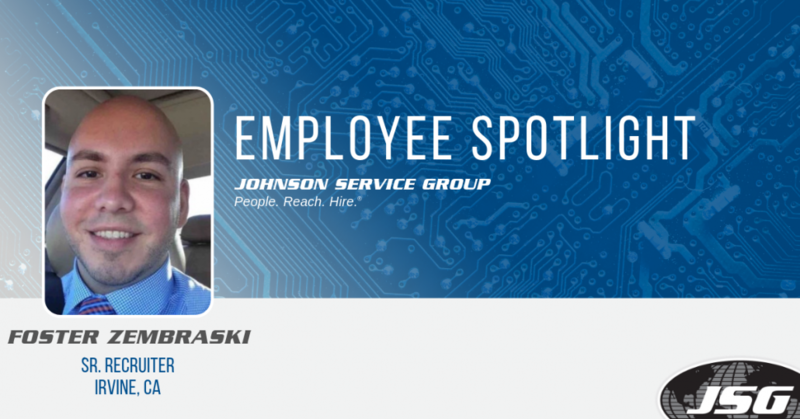 At JSG, I have had the opportunity to recruit on many different roles in various industries, which has helped me develop a solid background in a bunch of different markets. Outside of work, I enjoy hanging out with my dog. Recently, I have been getting into yoga with Taylor Graves, one of my co-workers in Charleston. 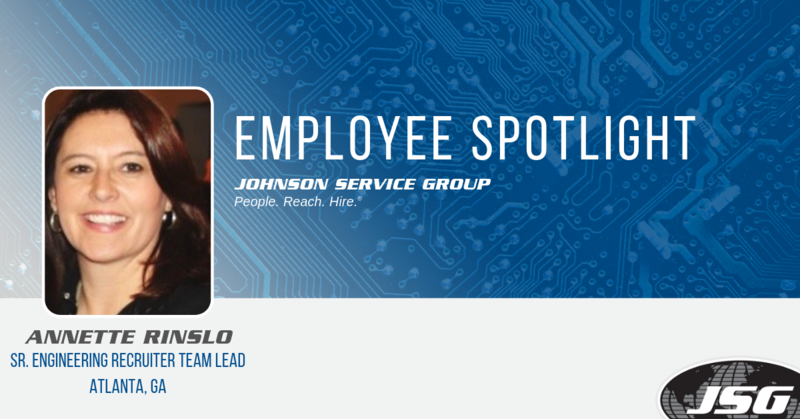 Annette Rinslo is a Sr. Engineering Recruiter Team Lead in Atlanta, GA. She’s been with JSG for nearly two years but has over 20 years of experience in the Staffing Industry. We sat down with Annette to learn a little more about her career, her role at JSG, and her amazing recruiting team. I’ve been in the staffing industry since 1995. I started working for TAD Technical and worked there for about six and a half years before they were acquired by Adecco. When first starting, I focused on engineering roles. But in 2003, I entered the Energy sector as a Sr. Technical Recruiter at Think Energy Group. There, I learned the ins-and-outs of the Energy sector and started recruiting on roles within the industry. Engineering and Energy go hand-in-hand. These two fields have really helped me grow as a recruiter and allow me to work on many different roles at once. They each have played a tremendous role in my career and definitely are useful for my current role at JSG. I have worked with several people from JSG in the past and got in contact with Frank Cunnane, who’ve I worked with for years, about coming on board. In August 2017, I officially joined the JSG team as a Sr. Engineering Recruiter. And this January, I was gratefully promoted to Sr. Engineering Recruiter Team Lead. You were promoted to Team Lead at the beginning of this year. Tell us a little about your team? What sets your team apart from others? Our team consists of seven great recruiters, two of which focus on the perm placement side and the rest focuses on contract and contract-to-hire positions. I also work closely with the rest of the recruiting team in Atlanta. I try to step in and help whenever I can. We spend a lot of time brainstorming and helping each other out. It’s a tight labor market, so we are always coming up with better ways to find and source great talent for our clients. As Team Lead, I am responsible for mentoring three of our contract recruiters. I lead them by assigning contract positions, helping perform searches, and anything else they need to continue to succeed in this industry. What do you enjoy most about being a recruiter? At the beginning of my career, I worked for an organization for about nine years. Towards the end of my tenure there, I worked for the human resources department. There, got a feel for how others on the team get the opportunity to help others with their careers, their families, and their livelihoods. There are 4-Wins to recruiting: The client gets a great candidate, the candidate gets a new job opportunity, I get to help JSG make a placement, and I win by receiving compensation for my hard work. Of course, I also enjoy building relationships and reconnecting with clients and candidates I’ve worked with in the past. To this day, I still get excited every time I successfully get a placement or bring in new business for JSG. What are your team’s goals for the rest of 2019? One of my personal goals this year is to help bring in more leads and generate new business. It’s a candidate’s market and it can be challenging to fill certain roles. It’s my goal for my team and I to bring in new clients and build the team in Atlanta. Of course, I also want to surpass the number of direct hires I placed last year. I enjoy golfing and I’ve been playing for over 20 years now, but have been getting more into this year. I also enjoy playing softball and played racquetball for 18 years. Connect with Annette on LinkedIn! 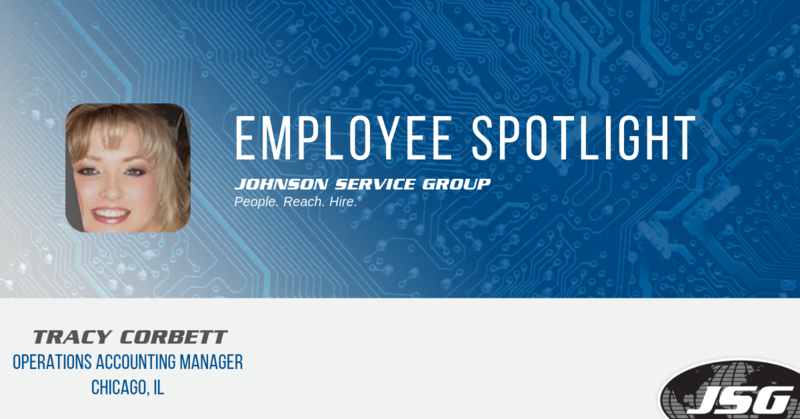 Tracy Corbett is our Operations Accounting Manager at JSG. 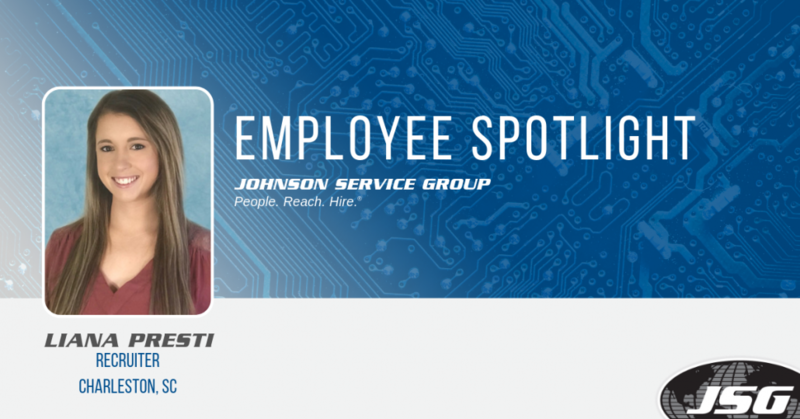 She works out of our corporate office in Westmont, IL and has been with JSG for over 13 years. She plays an integral role at JSG and has an impressive accounting background. Take a few minutes to read her spotlight and learn a little more about her and her career. Tell us a little more about your career and how you ended up working at JSG. I’ve been in the accounting field for close to 30 years. 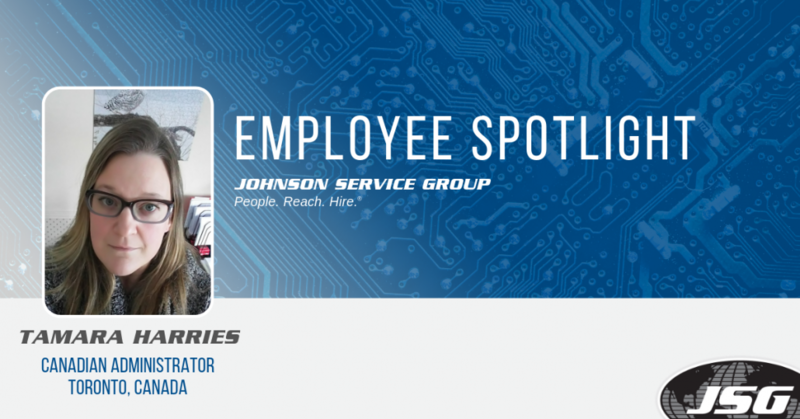 Before coming to Johnson Service Group, I worked for several large companies, including Marriott Corporation and IFS North America, Inc. But in 2005, I received a call from Dale Slater offering me a position in the accounting department. On November 1, 2005, I officially became a member of the JSG team. You’ve been with JSG for 13 years now. How has the company grown and changed over the years? When I first started at Johnson Service Group, there were only three people on the accounting team. Fast forward to today, we have an amazing accounting team of roughly 25 people. When I first came onboard, the accounting department was somewhat rudimentary. We didn’t really have any internal controls or procedures in place. Since then, we have worked hard to establish continuous education, instill proper protocols, and ensure we are following all necessary compliances. Over the years, the atmosphere of the corporate office has definitely changed. We went from having just a couple of accounting employees to completely rebuilding and growing our team to better support our operations, clients, and our contractors. 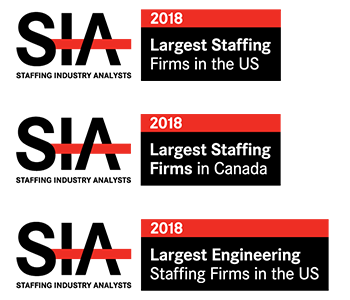 We have built new internal programs which have not only made us experts in our field but also improved employee morale and have provided growth opportunities for all of our employees. Essentially, we have matured as a corporation as we’ve grown through the years. 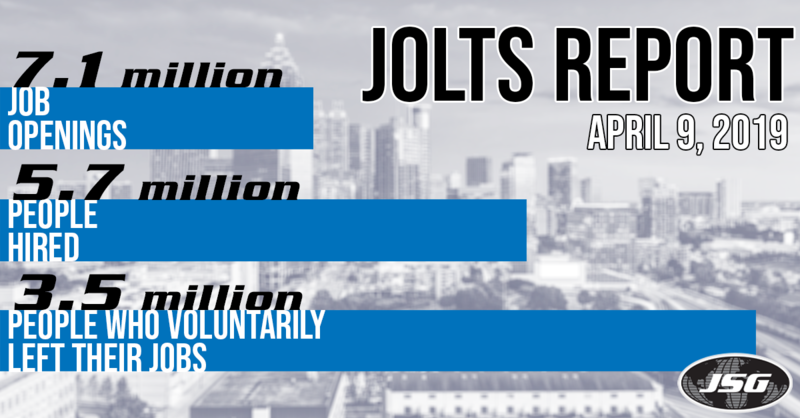 And one of the biggest changes over my tenure at JSG is how much we have grown as a company. Thirteen years ago, almost no one would have guessed we would grow to what we are today in such a short amount of time! What is the most challenging part of your job? Why do you enjoy working for JSG? Accounting is the easy part. The most challenging part of my job is keeping up with all the labor laws and payroll tax changes. Every branch of JSG is a little different and my team and I must ensure we are properly following all compliances. The best part of JSG is the people. I am proud to be part of such a great team who does such a tremendous job every single day. Every one of our team members is hardworking, loyal, and dedicated to JSG’s success. They see the growth potential of the company and they have helped develop a fun working environment. I am honored to be in a position to help lead them. What’s it like working in the accounting department for a staffing firm? Where I was working at before, the organizations were fairly straight-forward. But in the staffing industry, there are no clear-cut lines. Every contract, client, and candidate are unique and require different needs. Essentially, there are a lot of gray areas which can be challenging at times. You always have to be quick on your feet and fast to respond to changes in the industry! It’s a very fast-paced environment and you’re always busy. When I am not at work, I enjoy spending time with my family and being in the outdoors. I also love riding my Harley any chance I get! Connect with Tracy on LinkedIn! Tamara Harries works for JSG Professional Services ULC, Johnson Services Group’s Canadian entity. Tamara is our Canadian Administrator and has worked for JSG for almost four years. We had the opportunity to sit down with Tamara and learn more about her impressive career as a payroll professional. Here is what she had to say. Tell us a little about your career and how you ended up working for JSG. I started working for CDI Professional Services in January 1998 as a Payroll Administrator. Our office was in Oakville, Ontario, very close to where our office is now. At CDI, I worked with many people who now work for JSG Professional Services, including Greg Thullner who was the VP of the Montreal office. At CDI, I was responsible for payroll and billing activities for all of our offices in Canada. When I was at CDI, we provided staffing services primarily in aerospace, oil & gas, and engineering. When Greg and the rest of the team formed the Canadian division of Johnson Service Group, I joined the team in July 2015 as the Canadian Administrator. I am responsible for payroll services, as well as other back office duties. When JSG Professional Services was first formed, I worked closely with our corporate office as sort of a liaison between them and our operations in Canada. The rules here in Canada are different than the States, and rules and regulations can even differ between provinces. You’ve worked in the Staffing Industry for over twenty years. What has changed over the years? One thing that I have noticed throughout the years is the popularity of staffing services. More and more staffing firms are popping up and more employers are relying on contractors to fill their positions. Technology has also revolutionized how we work. Back when I first started working, we used to fax over payroll to another office for processing, all of which was done manually. Now we have different systems and software that have really streamlined our payroll and recruiting processes. We have much better tools for recruiting and tracking and everything is more user-friendly. All of the web-based applications we have at our disposal has definitely made our industry more efficient. What’s your favorite part about your job here at JSG? My favorite part about working for JSG is the people. I have had the opportunity to build great internal and external relationships. Like I said before, I’ve been working with some of the great people like Greg Thullner, Jason Landa, Kim Getty, Juan Buitrago, and Amanda Monaco for years. All five of us worked together at CDI and we now have the opportunity to work together here at JSG. We are like a big family! I also enjoy working closely with our contractors. I have had the privilege to work with some of the same contracts for over a decade. We have developed close connections with many of our contractors and they feel more like friendships than working relationships. To me, this isn’t just a job that I clock in and out of every day. At JSG, I have become invested in my job. I want to see the business grow as well as see our contractors grow into their new positions. Outside of work, I enjoy reading, hiking, and traveling. I try and travel down to Disney World once or twice a year. The March 2019 Jobs Report was just released and over the last three months, job gains have averaged 180,000. As of March, there are only 6.2 million Americans presently unemployed and 7.1 job openings. The labor market is still looking strong as we enter the Second Quarter. Regardless of all the “disappointing” or “negative” reports that are out there, there are still more jobs than available workers to fill them. In fact, there is still less than one available candidate per open job in the country. Millions of Americans are still voluntarily leaving their jobs for new opportunities. 3.5 million Americans voluntarily left their jobs, which illustrates how strong the market is. And many were concerned with February’s Job Report, which showed only 20,000 job gains. However, with revisions, an additional 11,000 jobs were created in the month of February. The labor market is competitive and the First Quarter of 2019 was impressive. If you’re struggling to find and retain great talent in this market, you are not alone. But that doesn’t mean that you have to try and tackle this issue all by yourself! If you’re sick of striking out during the hiring process, it may be time to team up with a professional in your industry. Partner with a recruiter to help fill your most critical roles. Reach out to a JSG recruiter today! 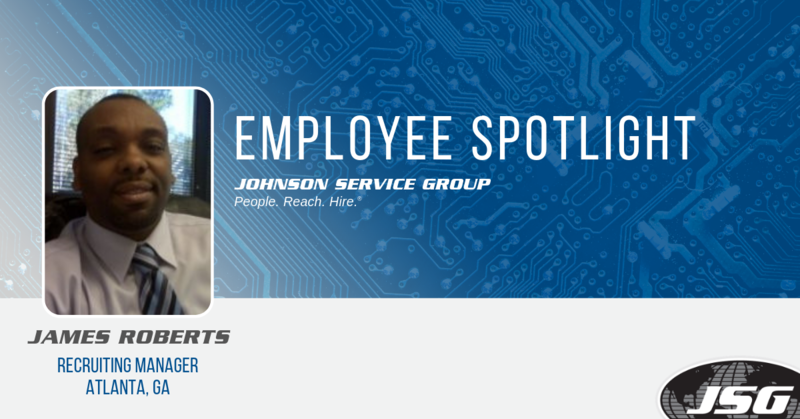 James Roberts is the Recruiting Manager for our Atlanta, GA office. He’s been with JSG for 13 years and has nearly 20 years of experience in the Staffing Industry. We had the opportunity to sit down with him and ask him about his impressive career. Here is what he had to say. Tell us a little bit about your career in the Staffing Industry and your 13 years with JSG. I started working in the Staffing industry in 1997 where I was working for Tek Systems. When I first started, I was working as an IT Recruiter. I was at Tek Systems for nearly seven years and then moved to a smaller firm called Recruiters at Work. There, I was doing both sales and recruiting and I stayed there until 2006. I then made the move from Connecticut to Atlanta and started working for Johnson Service Group. When I first started at JSG, I went back to recruiting for IT roles. However, after a few months, I transitioned to Aviation recruiting. I then relocated to our Charleston office where I held the position of Branch Operations Manager. I worked in Charleston for about four years and then relocated back to Atlanta where I returned to a recruiting role as well as account management. Two years later, I was promoted to Recruiting Manager where I oversee an awesome team of recruiters. What changes have you seen in the Staffing Industry throughout your career? What changes do you expect in the near future? Throughout my career, I have seen the market go up and down. When I first started in the industry, the unemployment rate was low. Several years later, the unemployment rate increased, and it became easier to find good candidates to fill our client’s roles. But now that the market is competitive and we are witnessing an unemployment rate of 3.8 percent, it’s becoming more difficult to find great candidates; the best workers out there are the ones still employed. Technology has also drastically changed how we communicate with our clients and candidates. With so many different ways to communicate with people, like texting and emailing, it’s become more challenging to build strong relationships. We seem to be getting away from the phones and I see this issue only getting worse in the future. With social media, job boards, and other technologies, it eliminates the personal touch and makes it harder to build relationships. Tell us about your team in Atlanta. What are your team’s goals for the rest of the year? I have a great team of recruiters. Most of our team is in Atlanta, but we have two recruiters in Oklahoma City and another in Jacksonville, FL. The goal for our team is to be the top Aviation provider for all of our customers and demonstrate excellent customer service throughout the entire hiring process. When you’re not busy at work, what do you like to do in your free time? I am a huge sports fanatic. I love both football and basketball. On the weekends, I enjoy officiating basketball. I also do some one-on-one basketball training with some local youth in Atlanta. Say hello to Foster Zembraski, a Senior Recruiter from our Irvine, CA office. Foster has been with JSG for a little over three years but has made a tremendous impact within the company already. We had the opportunity to sit down with him and learn a little bit more about his career. Here’s what he had to say. Tell us a little about your career and time with JSG. I’ve been in the Staffing Industry since 2004 when I started working for Volt as a Recruiting Assistant. At Volt, I was kind of the go-to guy. I did everything from support and admin duties, budgeting, going through resumes, and developing employee relations. The branch I worked for was #1 in the organization for eight consecutive years in a row. I was able to learn a lot about the industry and it definitely prepared me for my role as a recruiter. After I left Volt, I briefly worked as an onsite-project manager. But after a few months, I applied for a recruiting position at JSG and was brought in for an interview. I was questioned about my experience since my previous position was a support role, but I was given the chance to come work for JSG. I have now been with the company for just over three years and I truly love it. Jim Beckley, my Senior Vice President, has given me the independence and opportunity to create a new career as a recruiter. It’s almost been like a 360-degree change, but I love my role as a recruiter. You were a Recruiting Assistant for 11 years prior to joining JSG. How has this role helped you be successful here at JSG? Working as a support member for Volt gave me a great background of the Staffing & Recruiting world. I learned to be to become a great multitasker and work on many different things at once. This allows me to efficiently juggle many different positions at a time while still effectively communicating with my team, our clients, and our candidates. Essentially, my support role has allowed me to successfully run a full desk as a recruiter. It has also allowed me to understand the needs of my clients and help them fill their positions with great candidates. At Volt, I worked primarily for admin, finance, and manufacturing roles. But at JSG, I am able to work on any type of position and I am not limited to a strict territory. I’m truly not afraid to work on any position that hits my desk because my background provided me with the skillsets to be a successful recruiter here at JSG. Working in the service industry where I had to provide customer service helped me develop a passion for people. I love talking to different people and building strong relationships. As a recruiter, I have the opportunity to help people find the next step in their career. It’s my passion to inspire and connect with people and to help them advance their career. What motivates you to come into work every single day? You have to have mind over matter. I am very driven and self-motivated, which allows me to come into work every day with a positive attitude and get work done. You can’t overthink everything and must always have a sense of urgency. People’s lives are at stake when you are helping them find new career opportunities, so that is a big motivator on its own. My personal goal is to always provide my candidates and clients with world-class service in a forever-changing industry and provide the best customer service possible. Connect with Foster on LinkedIn! Melissa Brown performs Employee Services for Johnson Service Group. She’s been with JSG for about eight years and she works in our Knoxville, TN office. We had the opportunity to sit down with her and learn a little bit more about her career here at JSG. Here’s what she had to say. You’ve been with JSG for over eight years now. Tell us a little about your career and how you found your way to the company. I worked for General Electric for about 18 years before coming to JSG. For the first seven to eight years, I primarily did billing and invoicing for GE. And during the last ten years or so, I was the Credit Specialist Coordinator for the RGA Center. About eight years ago, the GE office was moved from Knoxville to Nashville, so I was looking for a new position when I stumbled across this position at JSG. I was excited about the change because I worked for a huge corporation for so long that it was nice to have a change of scenery. I interviewed and was offered the position on the same day. When I first started working for JSG, there were only two people in the Knoxville office. 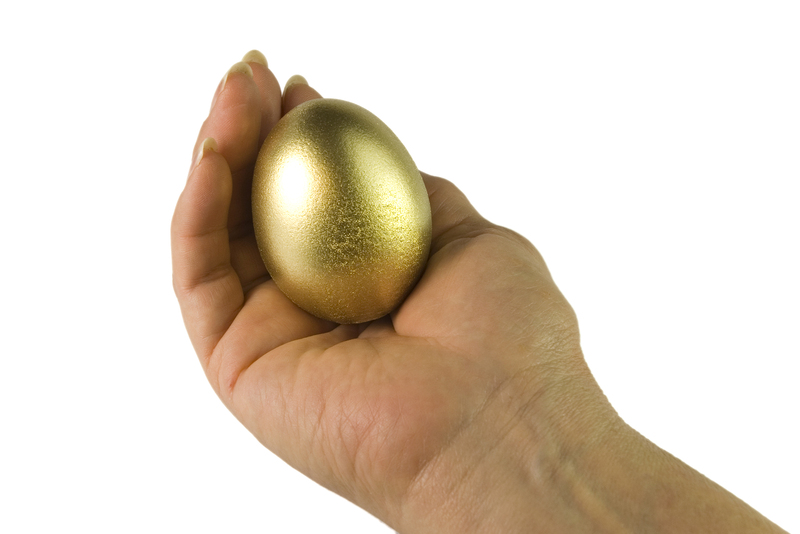 I was responsible for payroll duties, on-boarding contractors, and all the pre-screening activities. Over the last couple of years, our team has grown, and we are now in a bigger office in Knoxville. This has given me the opportunity to take on more responsibilities, like quarterly reporting, audits, random drug screening, and updating annual insurance information for our clients. What do you enjoy most about the Staffing & Recruiting world? 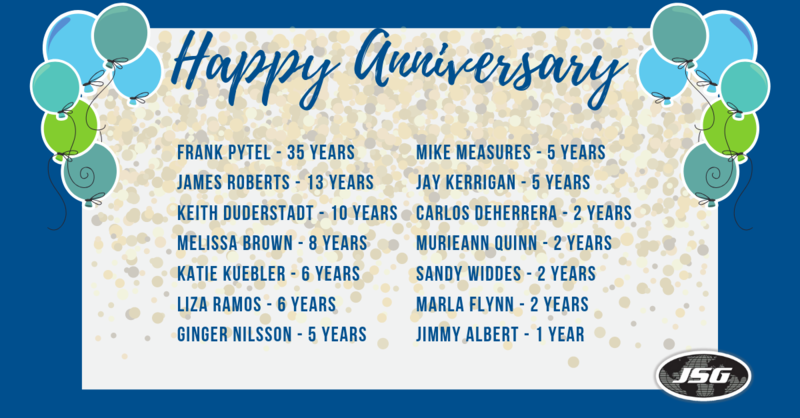 What has kept you at JSG for all these years? When I was working at GE, it was much more like working for a corporate office. When GE closed its plant in East Tennessee, it was a major loss to the community. However, when I first started working for JSG, I was excited to come work for a smaller office. As I said, when I first started working for JSG, there were only two other people at the office. We have grown since then, but it feels much more like a family. Communication between each other and our corporate office is much clearer and easier. I enjoy being able to communicate with our other branches and our contractors all across the nation. Every day is different, and it makes it fun! The atmosphere at our office is great and there is a lot of teamwork. I love having the opportunity to get to know our contractors and helping them make the next transition into their career. This job is so rewarding because every day I feel like I have helped someone improve their lives. I get to work with contractors who may be accepting a job for the very first time, which is a very good feeling. If you can make a difference in one person’s life, it’s worth it. Working for Don Franks, my Senior Vice President, has been an amazing experience. I could have never expected to have such a caring, wonderful boss who truly cares about his team. What are you and your team hoping to accomplish this year? One of our goals is to ensure our customer service is always industry-leading. We want to make sure all of our onboarding processes are efficient to make our contractors’ lives as easy as possible. One of JSG’s initiatives this year is to update all of our accounting systems, and this change will allow us to continue to streamline each hire. Connect with Melissa on LinkedIn!